Random House Reference, 9780375425899, 256pp. How did Hillary Clinton, Michael Bloomberg, Jeffrey Bezos, David Sedaris, and Macy Gray get where they are today - and how can you get the same edge? 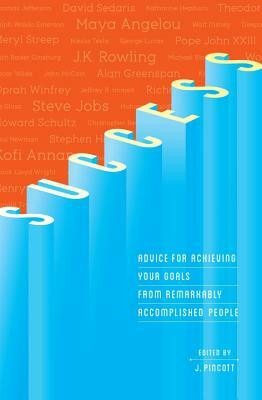 Success is a collection of insights from more than 400 remarkably successful people in all fields - including business, politics, entertainment, and the arts. Here are quotes and passages from J.K. Rowling and Federico Fellini on getting started, and Steve Jobs and Tiger Woods on passion. Here, too, are George Lucas and Bill Clinton on goals, Katie Couric and George Foreman on competition, and Edmund Hillary and Carly Fiorina on leadership. The high achievers quoted here share one crucial belief: Success is possible as long as there's passion. If you know where you want to be but not how to get there, use Success as your guide.